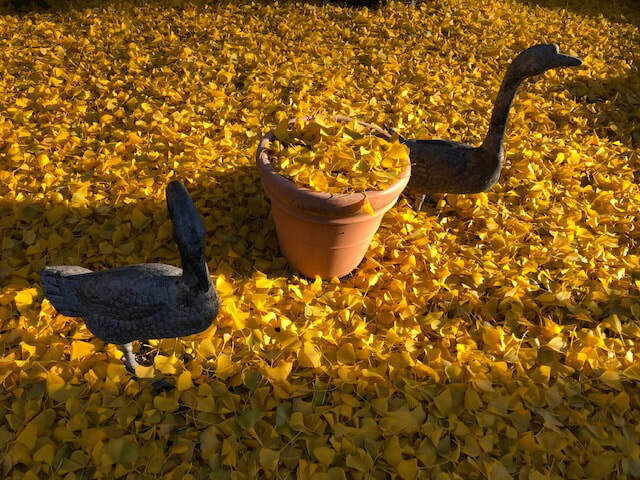 Member, Mary Lew Sponski, shared a sweet photo of geese looking like they've just decorated a garden pot to match the surrounding leaves. 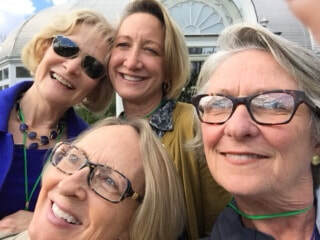 Annie Vanderwarker, Gail Babnew, DeLane Porter, and Carla Passarello enjoy a moment on the road at the GCA Zone VII Meeting in Winston-Salem. 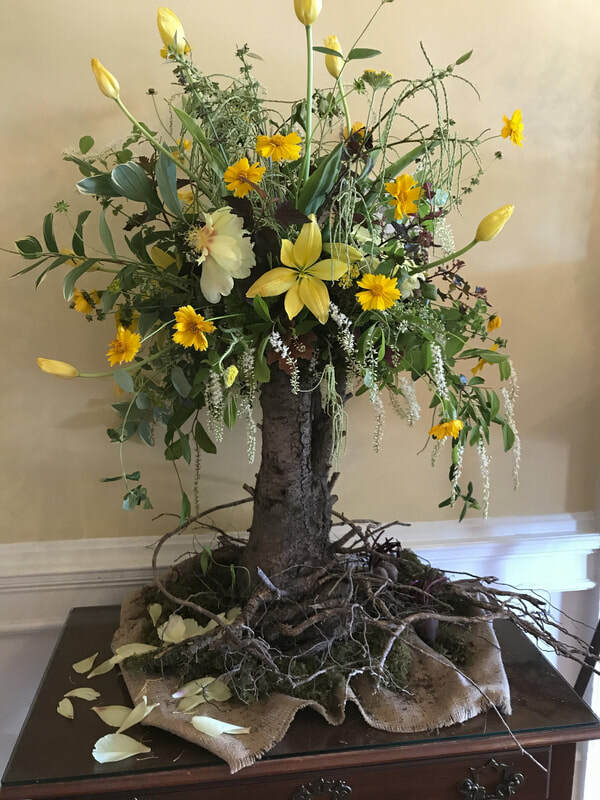 Photos from Carla Passarello at the GCV annual meeting in Fredericksburg, VA. 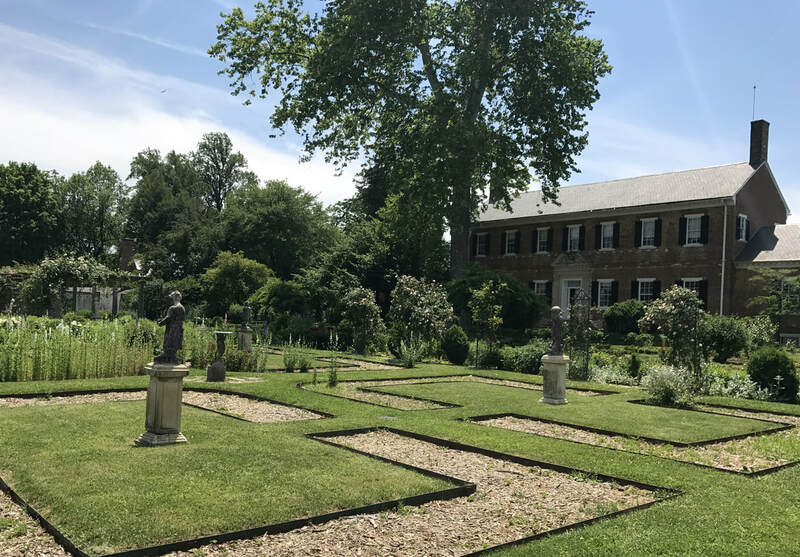 The arrangement is a massive root in line with the meeting's theme - "Roots of Restoration" - while the arch is in Mary Washington House's garden, and the third photo is the restored parterre at Chatham. ​A whimsical photo from Club President, Annie Vanderwarker, and husband Tony, visiting a fun shop in Thomassen, Maine. ​Annie Vanderwarker's photo of lobster pots in Maine. Here is our first road trip photo. 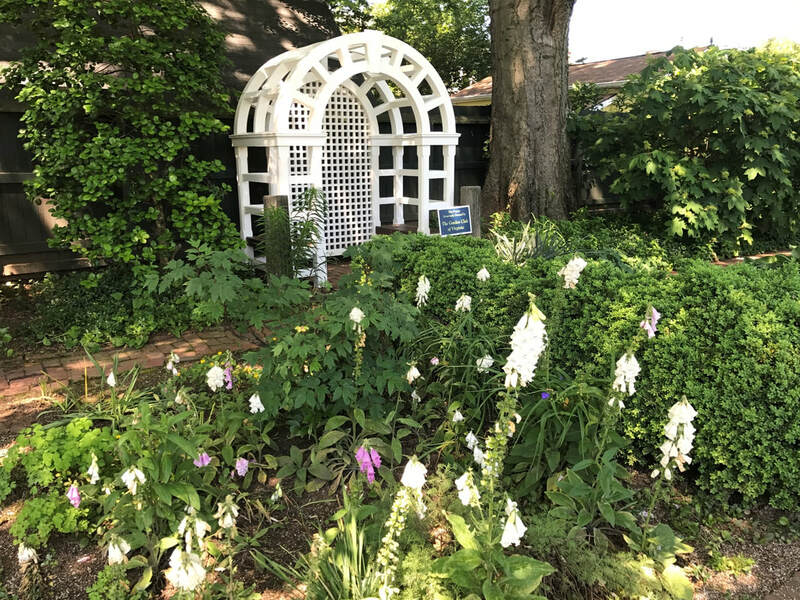 Annie Vanderwarker's photo from her trip to the Cleveland Botanical Garden in mid-July shows a hummingbird and flower made of Legos.